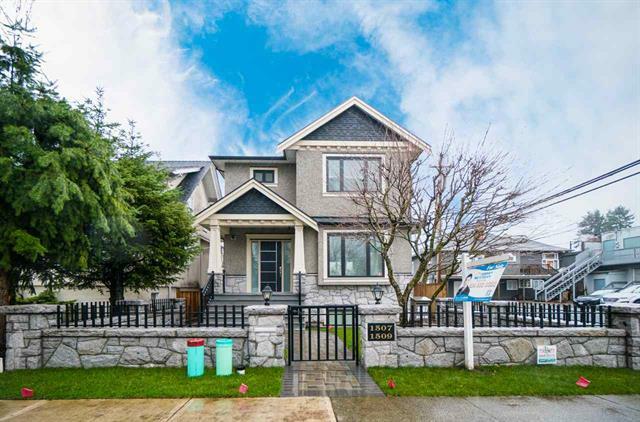 A MAGNIFICENT QUALITY CUSTOM BUILT RESIDENCE LOCATED in most PRESTIGIOUS SOUTH GRANVILLE! This exceptional new home offers a grand foyer w/high ceiling opening onto the entertaining-sized living & dining rm with high quality tile floor, total 4 bedrms & 5 baths, three suites upper level. One legal suite with separate address in basement for mortgate helper. Steam shower, radiant floor heating system, A/C, HRV.Walking distance to shopping, banks, & public transportation. Easy access to the University of British Columbia, Airport, Oakridge Mall and Richmond. This luxury house can simply provide everything you need. Open house Nov 04 Sun 2-4 pm.